Nowhere was the vitality of Jesus more visible than in His love - compassionate, honest, powerful, humble, and sacrificial. Get to know Jesus, observe His life and His love as they unfold in the gospel accounts of Matthew, Mark, Luke, and John. 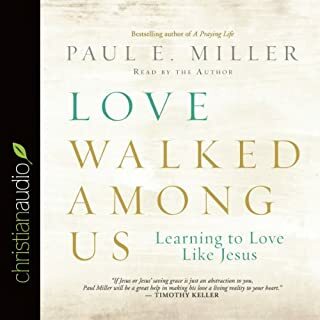 Combined with author Paul Miller’s own life stories, Love Walked Among Us will encourage you to imitate Jesus’ way of loving people in your relationships and community. Become more like Jesus and grow in your relationship with God. 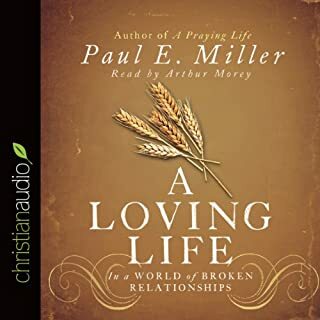 Having successfully helped listeners develop a solid prayer life with the best-selling release of A Praying Life, author Paul Miller applies his expertise to tackle an even more important issue - love. After all, love is what holds all things together, it’s what we’re looking for, it’s what we all need, and it’s what we must learn how to give. But loving people is hard. Our neighbors, friends, kids, spouses, and even our enemies require a relentless, self-giving demonstration of love that only God can produce within us. I've read this book twice and am now listening to it on two different devices. 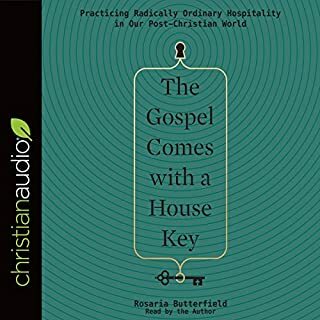 Every time I get a chance to listen to a chapter, I glean something new or am reminded of a truth that astounds me about this relationship Jesus offers us! A praying life is essential to living life well. Paul Miller's honest and conversational dialogue clears away the clutter the so easily gets in the way. The narration can at times feel a little monotone but overall it helps in the reflection of the words themselves. I am not an audio learner so the challenge of some vision loss has made me rely on this sense more. 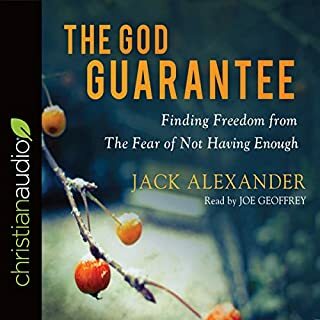 This audiobook has not disappointed. Two thumbs up! Would you listen to A Praying Life again? Why? This book has changed my life. I have been a Christian for over 25 years, but I have always struggled to have a meaningful, consistent prayer time. Now I look forward to communing with my Heavenly Father in prayer. Prayer is a joy and privilege, not merely a responsibility. 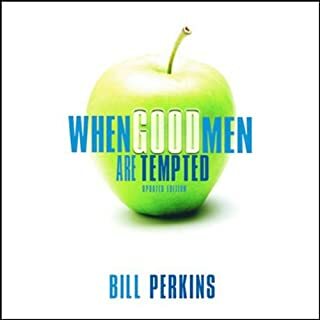 The teaching and author's tone in this book gripped my heart and were made effectual by God to change my life. May He use this book to draw many into intimate communion with Himself. I have always struggled with my prayer life. I so want to fellowship with God and have on many occasions. However I felt as if I was doing it all wrong and God was shaking His head as I prayed. As I read this book it was if a bird was freed from its cage. My heart feels free and bold to bring God into my battlefield of life, my hang ups, my struggles, my blessings, my disappointments ... He wants to hear it all and will answer in ways that benefit me most. Sometimes that means telling me no, the way I respond to His no is giving me the opportunity to be molded into someone who resembles Him. I love it! Exactly what I needed from God to help me understand & apply prayer in my life. I have listened to over 200 books, half of which are "Christian". This would be in the top 5. Every time I pick up this book I read more than I planned! Enjoy and grow. The voice of the narrator was okay but it made the book boring. The book itself was okay. Although there were things I didn't agree with, there were a lot of good things too. My husband and I listened to this book together. We loved it. Paul is so honest and transparent. This will change how we pray. Thank you Paul. Arthur Morey does a wonderul job narrating. While I was excited to learn from this book, I dreaded turning it on because of the narration. He grumbles out the words without any variation in pace, intensity, or feeling. The result is that the stories, confessions, and calls to action were without emotional impact. The content of the book was really good, with good application and some good specifics about how to pray more effectively. 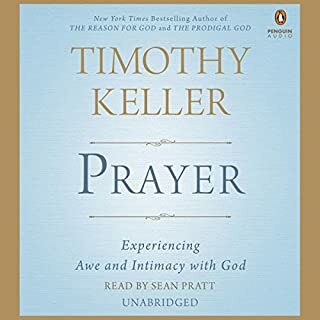 It changed my prayer life in several tangible ways, but I would not recommend this audiobook to anyone. Paul Miller writes with a disarming transparency that is transforming my prayers to a deeper place of honesty with the 'Lover of our souls'. I am deeply grateful for his willing vulnerability to share from his life and family, to raise the prayers of many generations to come. 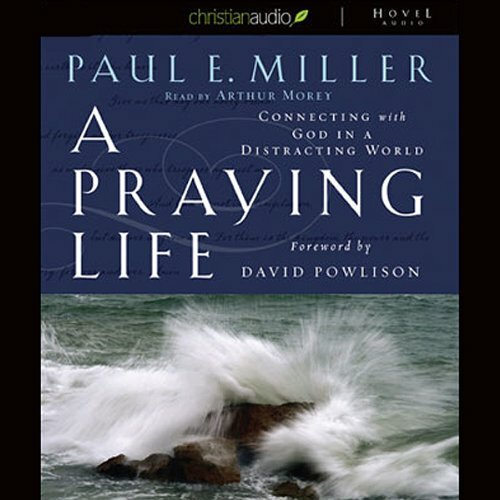 One of the best audiobooks I have read and listened on prayer. The part on praying as a child is worthy rereading (relistening) more than once. A Call to Spiritual Life by Don Carson will be an excellent book to compliment this book in regards to praying Biblically and Just Do Something by Kevin DeYoung to correct the listening to God bit.